Sony began its entry into video games in 1995, competing against the Sega Saturn and Super Nintendo, and later the Nintendo 64 (all found under Classics). Originally the Sony PlayStation was going to be an accessory for the Super Nintendo, but after Nintendo scrapped the project it was released as its own system by Sony. The PlayStation launch was a massive success, and the games released for it were consistently better than games that came out for the Sega Saturn and Nintendo 64. It could be argued that the PlayStation changed gaming for the better. It introduced us to true 3D gaming with its accelerated graphics chip, whereas the Saturn's graphics chip was not as powerful and produced 3D games that weren't much better than the 32X or the Super FX chip (for more on all of that, see Classics). The PlayStation 1 began with a fairly ordinary controller, with a D-pad, four buttons, four more trigger buttons on top, select and start. It wasn't until the hit racing game Gran Turismo was released that they produced the Dual Shock controller which has become a hit for Sony. (More on the controller later.) The system itself used CD-ROMs which, if you had legal games, were black on the bottom. It featured digital stereo sound and limited 480i (then referred to as "high resolution") support. Unfortunately, there were also some problems with the Sony PlayStation. 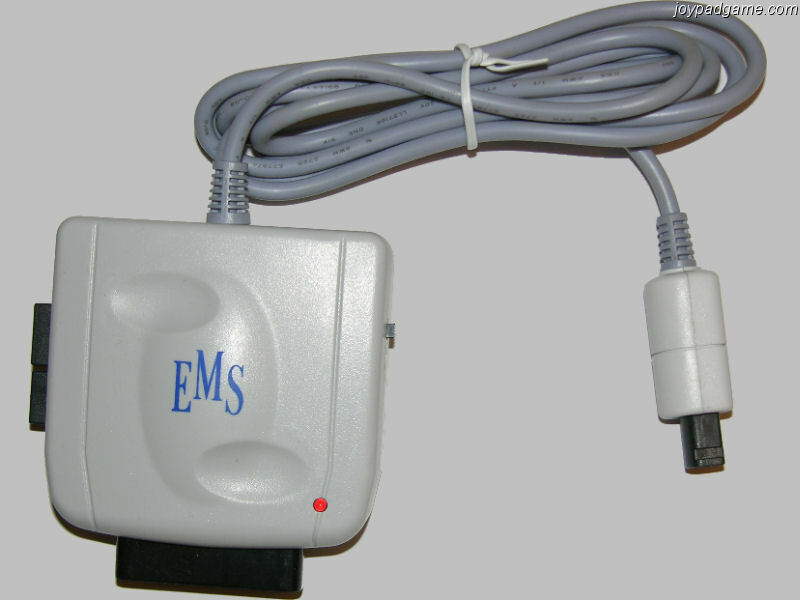 One of the most frustrating problems was that it was the first system that did not include an RF adapter in the box. 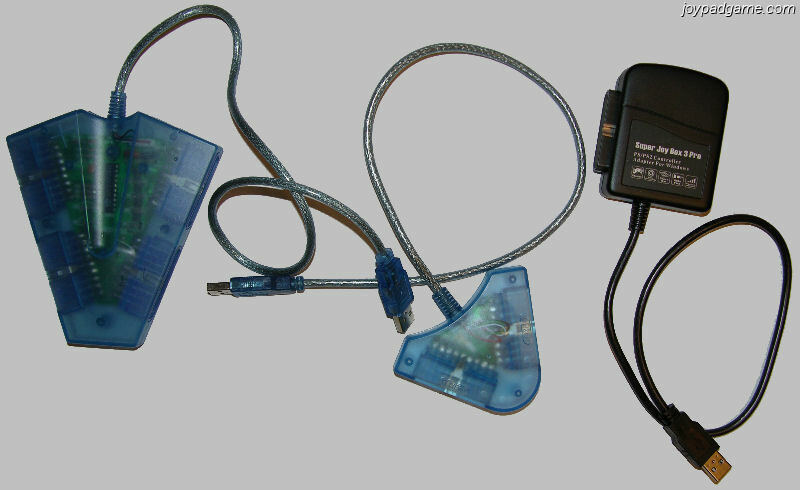 This proved to be very frustrating especially for the non-tech savvy, and as a result many children got a PlayStation but found they could not connect it to their television, because in 1995 very few sets had the composite input jacks needed to hook it up. (I was one of those children.) However, as one might expect, Sony didn't give in and start packing the RF adapters with PlayStations—instead they stood their ground and eventually it became a necessity that new televisions start including these jacks. Indeed this bred a new age where more was better, and one company even produced a TV for sale in video game stores that had fold-out speakers and a whopping three sets of A/V jacks for a moderate price. I forget the name of this set and was unable to find any information on it, but if any of you remember this set please e-mail me. The PlayStation's other problem started appearing several years after its release. It seems that after enough use, the track that carried the laser lens would wear out and become rough, causing the laser to skip and freezing the system. A well-known workaround was to turn the boxy PlayStation on its side (which was sometimes followed by the system falling over because its sides were not completely straight). Thus it became common to see PlayStations tipped up on their sides during those last few years of use. 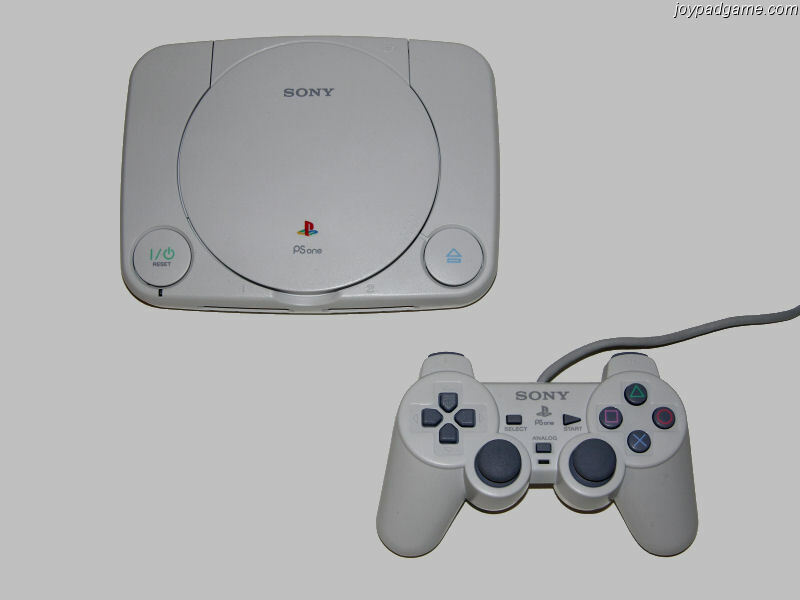 At about the same time the PlayStation 2 was released, a new smaller version called the PSOne was released. It was only about half the size of the original and had a lighter, off-white color case and controllers to match. However, they never made any memory cards in the new shape and color so those always tended to clash with the PSOne. The PSOne started the trend of producing LCD screens that attach on top of the console for something distantly resembling "portable" gaming. The PlayStation 2 came out five years later in 2000. Its launch would have been an even bigger success than the first PlayStation launch, but at its launch, there was a severe shortage of PS2s and the few who had them, hoarded them and asked for anywhere from $400-800 to buy one. As a result gamers did not get their hands on the PlayStation 2 until the next year when more systems came out. Despite the slow and painful launch, Sony still made a lot of things right with the PlayStation 2 and made it another big success. The PlayStation 2's hardware was not far ahead of the competition like the first PlayStation. The PS2 came with Sony's touted Emotion Engine processor, a powerful Graphics Processing Unit, and a DVD-ROM drive capable of reading 2-layer DVDs up to 9GB. The Sega Dreamcast was slightly slower and had only 1GB GD-ROMs, but it had a full-scene anti aliasing feature that left the graphics looking much smoother. PlayStation 2's early adopters referred to the untreated polygon edges output by the PS2, which look like tiny staircases, as "jaggies." Later competitors Xbox and GameCube would also have anti-aliasing. 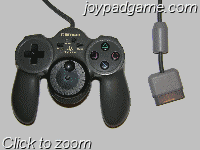 They both have a similar amount of power to the PS2, but include four controller ports for multiplayer games while the PS2 would require a multitap to have more than two. As one bonus feature, the PS2 is fully backward compatible with PS1 games, memory cards, and controllers. Sony would renew its hardware later on with the broadband network adapter, and then by producing a Component video cable and enabling some newer games like Gran Turismo 4 to play in High Definition. No longer would jaggies be a problem when playing at 1080i resolution. The PlayStation 2 also had an option for DVD playback, which worked out of the box but could be enhanced by buying a DVD remote. 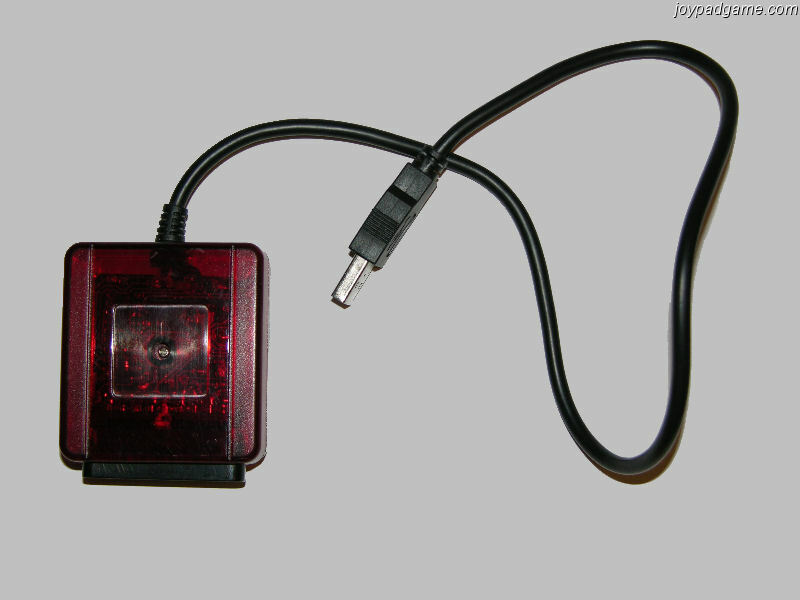 The V9 PS2 shown above was an updated release which included DVD+RW format playback of movies, a quiet fan, and a built-in IR sensor for the remote so no dongle would be necessary. It did remove the Firewire port, leaving only the (fairly useless) two USB 1 ports behind. The Dual Shock 2 controller released with the PS2 was the true revolution for controllers. As great a controller as the first Dual Shock was, having two analog sticks and two vibrating motors, the Dual Shock 2 added a feature badly needed for precise control in racing games: pressure sensitive face buttons. Although the Dreamcast had two pressure sensitive triggers on the top of the controller for gas and brake, it proved awkward to use them in racing games compared to face buttons. On the PS2 not only do the face buttons and L/R triggers have pressure sensitivity, it's a little known fact that even the D-pad is pressure sensitive. One key piece of evidence that the Dual Shock 2 controller is the best design is that there are more adapters to connect it to other systems, and more controllers designed for other systems imitate it, than any other controller ever designed. As future-proof as the Dual Shock 2 controller is in my opinion, Sony appears to be scrapping it on the PlayStation 3 and may instead have you control the system with a remote-controlled boomerang. Stay tuned for more developments. 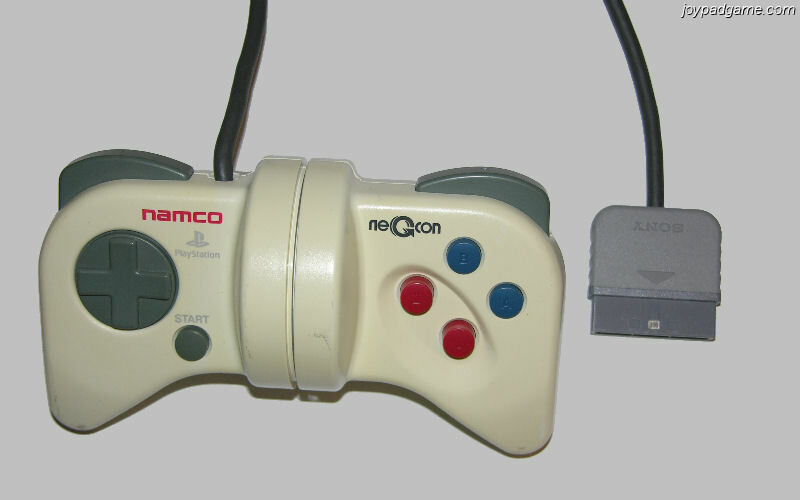 Namco released both of these controllers toward the end of the first PlayStation's life, the neGcon and the JogCon. Both were designed for analog control of their racing series Ridge Racer. The neGcon preceded the Dual Shock controller by a short amount of time, so its lifetime was short. You can still use a neGcon in any Ridge Racer game, but other titles will only accept input from a Dual Shock controller. The JogCon was released with Ridge Racer Type 4, and its gimmick was a true steering wheel control in the center of the pad with true force feedback. Although it was a great concept, Namco was not open with the design and it too faded into obscurity. Ridge Racer V for the PlayStation 2 accepts both controllers. and Super Joybox 3 Pro. PlayStation controllers have the most adapters of any controller ever designed. Because of this it would be impossible and silly to list them all. For example, you could make your own interface based on the instructions at PSXPad, but why would you want to? 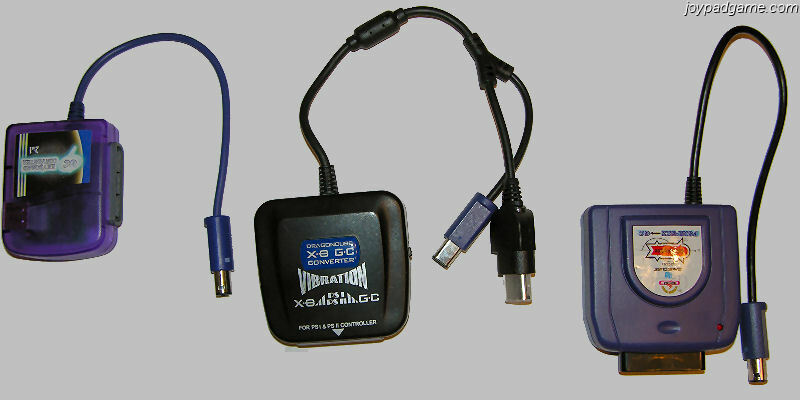 For a reasonable price a USB adapter can be bought with many more features. The USB interface works remarkably well with PS2 controllers, because they seem to work fine with 5V power even though they are designed for 7.6V power. Because of this these USB adapters can run off of bus power; however, it is important that there is enough power in the USB bus to handle the controller at rest and when vibrating. If you plug a PlayStation controller into an overloaded USB hub or a laptop, you may find that the narrow margin that works for the PS2 is not maintained and you end up with unpredictable behavior or failures. If this happens, just get a self powered USB hub that plugs in, and connect your PS2 adapter into that. As well as USB works with PlayStation controllers, there is one other issue that has come up. How is the second analog stick mapped to a PC? Early USB adapters did not leave the second stick unaccounted for, nor did they try to map it to a POV hat or anything like that that would defeat its analog precision. Instead the right analog stick is mapped to an additional two axes (the left being X for vertical, Y for horizontal): Z and Z Rotation. Traditionally Z was used as an axis for yawing left and right, and was connected to a set of rudder pedals for aviation simulators. The early joystick specs did not have a Z Rotation axis but with USB and DirectX that axis exists. However with this new axis, some confusion arose on how to map a second analog stick. The early adapters tended to map vertical movement to Z and horizontal movement to Z Rotation. This, however, was wrong, since Z is traditionally a left-to-right control axis. As a result gamers who used these adapters in Grand Theft Auto 3 and other games that were ported from the PS2 would have a heck of a time controlling the camera. The good news is that this axis problem is fixable with patches, and I have posted a few on this site. But the better news is none of the currently produced adapters that you see above suffer from this problem. They all map the axes correctly. One, the EMS USB2 (which has several other issues that preclude me recommending it), does not unless you update the driver and re-map the axes, the updated driver is on the links page. The adapters seen here all support all buttons and axes, and dance mats (for the MayFlash adapters, you hit Start+Select+Up to use a dance mat). They all have DirectX force feedback support, also, so you can have vibration effects. The difference lies in the number of connectors. The Super Dual Box takes two, the Super Joybox 5 Super Joybox 5 takes four, and the SmartJoy Plus takes one. 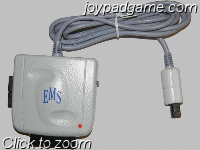 In all cases you can plug in multiple adapters for even more players. The Super Joybox 3 Pro is part of a new set of adapters by Mayflash (that, unfortunately, Lik-Sang does not yet carry) that supports pressure-sensitive buttons. You can choose any two buttons to map to sliders and use them, for example, as your gas and brake pedals. It also has full configuration and mapping of buttons. It is a very slick product, but I have heard there is a problem using it on Windows 2000. I am still working on confirming that and seeing if I can solve the problem. The Dreamcast Total Control Plus. Fans of the Dual Shock 2 controller can take comfort knowing that they can use that controller with the Xbox, GameCube, and Dreamcast, all three. The mappings of buttons and axes usually makes perfect sense (to those who dislike the GameCube's button layout, maybe even better sense), and although the Dragon Adapter doesn't support Xbox memory units (for all... both of you who use them), the Dreamcast Total Control Plus has a socket for a VMU. (and it converts Jump Pack signals to vibration signals for the Dual Shock 2 controller). It may be awkward for VMU-dependant games (you will have a difficult time checking your health in Resident Evil or choosing plays in NFL2K), but in all other respects it does a fine job. Other than that, there is little that needs to be said about these adapters. Neat Tricks Of course, the PlayStation 2 has a great DVD player built in. The DVD remote they sell works great for that purpose. However, you may not have noticed, but you can use the DVD remote as a controller in games too! It might be useful in games where reflex speed is not a concern and you want to play in Nintendo Revolution style. This might be reminiscent of ASCIIware's RPG controller for the PlayStation that could be operated with one hand (but was wired). The real neat tricks come with the use of the broadband adapter, which also has an IDE connector for a regular Parallel ATA hard drive. Not just any hard drive will fit, but generally Maxtor and Seagate have a higher success rate, and Western Digital hard drives have the connector in the wrong position and never work. One use of this is to install Linux on the PS2. Unlike the Xbox method, Linux can only be installed using Sony's expensive (and discontinued) Linux kit. The PS2 Linux Kit is designed to only work with the included 40GB hard drive and has many other limitations. Although I have not investigated it so thoroughly, it is likely that someone has cracked these limitations. The NCSA have created a cluster of PS2s running Linux (and you wonder where all of Sony's kits went); you can see it here. The other use of the hard drive is the slick HDAdvance tool. HDAdvance uses any hard drive that fits (the current version has has 48-bit LBA so even my 300GB hard drive works!) and can dump a PS2 game to the hard disk and load it from there. Due to a design flaw, it does not work with most double-layer DVD games. However, for the games it does support, it can be very handy. If you take the PS2 on a road trip, although the hard drive will make the system considerably heavier, it also could have your entire game collection on it, making it unnecessary to carry around all those games. The best part is, because the seek time on a hard drive is much less than it is on a DVD-ROM, games like Grand Theft Auto: San Andreas that took two minutes to load a scene can do it instantaneously from the hard drive. These two are both legitimite uses of the HDAdvance and they are how I get my value out of it. Of course it could be used for piracy, but it is not at all designed to make that process easy. (For example, there is no FTP program, so you can't copy DVD images downloaded over the internet to the PS2 as easily as you might for the Xbox). There is another product for the PSTwo, which has no hard drive slot, at the same site. It connects to an external USB hard drive through the USB 1 port. The speed value of HDAdvance is lost since USB 1 only transmits at a maximum 12 Mbps. Emulation on PS2 There are a few emulators for the PlayStation 2, but they are fairly rough around the edges and most require modding and/or a very complicated burning process to work. The PlayStation 2 is not even as emulator-friendly as its nephew the PSP. 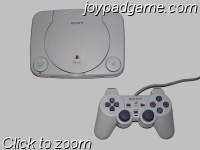 However, if you are interested in running an emulator on the PS2, check out the page on Zophar.net.